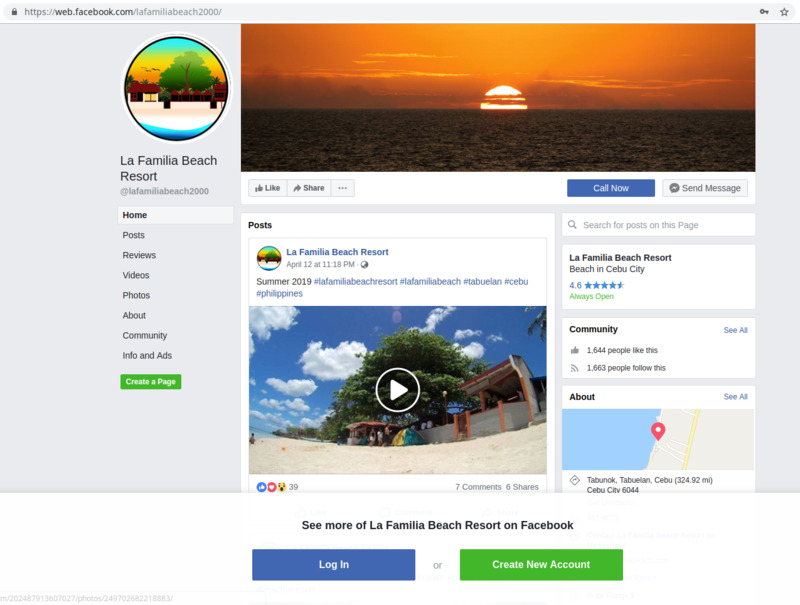 Why La Familia Beach Resort? Tabuelan, Cebu has a lot to offer in terms of white beach resort. In fact, Tabuelan has been feature multiple times in Sugbo.ph. With that said, let us check what “La Familia Beach Resort” has to offer. Located in Tabunok, Tabuelan, North-Western Cebu — this can take 2 to 3 hours travel from Cebu North Bus Terminal. From North Bus Terminal, ride any bus going to Tabuelan – PHP 100.00. Your drop off point at Tabuelan Public Market — Tabuelan Public Market has a lot to offer, where you buy meat and market products as expected. 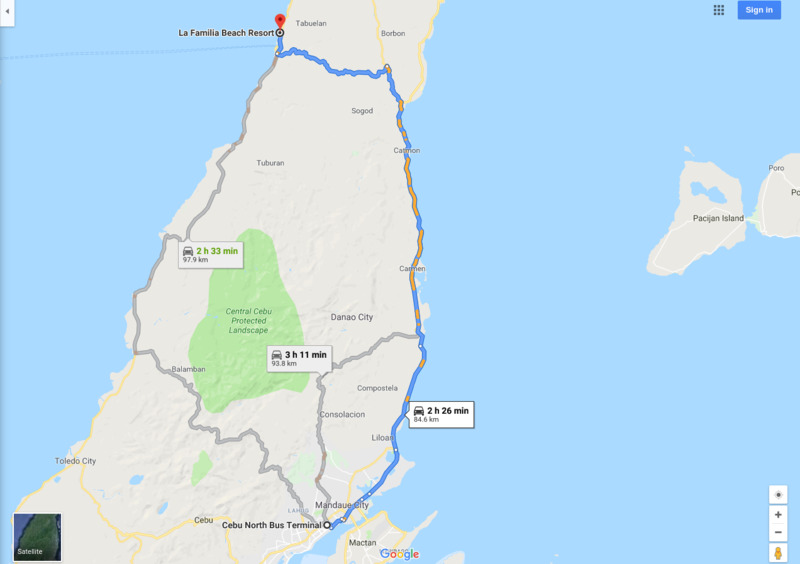 From the Public Market, ride a motorbike going to La Familia Beach Resort – fare is PHP 50.00 per person. Alternative — From North Bus Terminal, look for Inday Memie Bus, they have direct route from Cebu City to La Familia Beach Resort, convenient if you ask me. Downside is, this is a non-air-condition bus. You can easily find the La Familia Beach Resort given they have huge sign board going to Tabunok, Tabuelan. From here, a 2 minutes walk to their premise. On the other hand, phone signal can be challenging, however, they have WiFi connection that is free of charge if you wish to use the said service. Parking Area is not a problem. You have plenty of room both inside and outside the premise. Rates will differ if you choose for Overnight stay, anyhow, here are quick breakdown of their rates. Tent: PHP 150.00 per head (own tent). Cottage: PHP 150.00 per head or 500 good for 6 person. Family Room: PHP 3,500.00 per night, good for 6 person. Regular Room: PHP 1,500.00 per night, good for 2 person. Regular Room: PHP 2,500.00 per night, good for 4 person. Beach Front Room: PHP 4,800.00 per night, good for 6 person. Excess is PHP 150.00 per head per night. How was the entire experience? The entire stay were smooth. Staff were accommodating, rooms were clean and the beach line were clean as well. In fact, they have one Karaoke Entertainment shared for all the guest. I highly recommend the La Familia Beach Resort in Tabuelan, Cebu. If you have any suggestion or recommendation for this post, please leave your comment below, and if you wish to be a cityescape.ph author, join us now.